Feb 2010 marked 14 years of Syndicate Success. 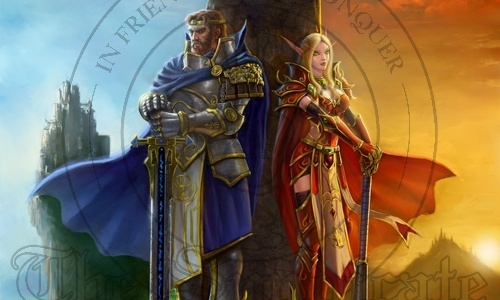 Founded in 1996 we have seen the rise and fall of between 5,000,000 and 50,000,000 guilds (depending if you estimate conservatively and factor in the games in the orient) yet we are still here. What does that number really mean? You have a better chance of winning your states lottery than you do in finding a guild as successful, old and stable as we are. You are 25x more likely to be killed by a lightning strike than you are to find another Syndicate-esque success story out there. Loyalty - We have a hugely stable membership. More than 56,000 people have tried to join the guild by this point in our history but our process selects only those that we think will be long term members and fit in well with the rest of our guild. That is why with more than 600 members, 550+ of them had been with us from 1 to 14 years. Trademark - We trademarked our name, logo and slogan. We were the first MMO guild to do so. A book - Legend of The Syndicate is a book published about the first 10 years of our success and sold thousands of copies. A studio - We became a studio for Prima Games writing strategy guides for MMO, FPS, RTS and RPG games. A conference - By this point in our history we had held 8 annual Syndicate World Conferences (SyndCon for short) that attracted hundreds of members and dozens of development companies. Consulting - We consult with numerous developers to help shape the future of MMO gaming. Our goal is to make MMO gaming better for everyone who enjoys them and we do that through numerous partnerships and consulting relationships with developers. There are other successful guilds out there. There is NO other group that has achieved all we have achieved. Every year we add some new milestone to our achievements and there simply is no more successful gaming group anywhere in existence. Long Live The Syndicate!